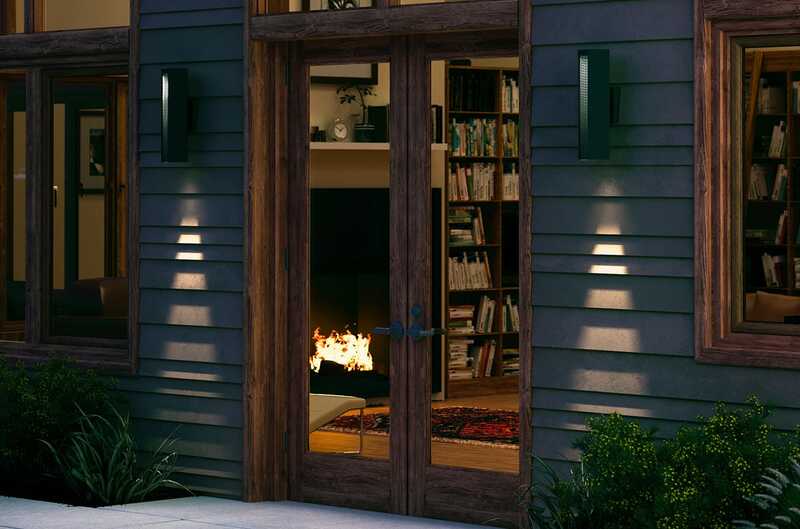 For the modern design aficionado, the wrought iron, metal patinas and decorative finials found in many outdoor wall lighting designs are probably not your thing. Two more straightforward ingredients—simplicity and functionality—are more likely up your alley (er, walkway? ), to welcome to guests arriving at your home. 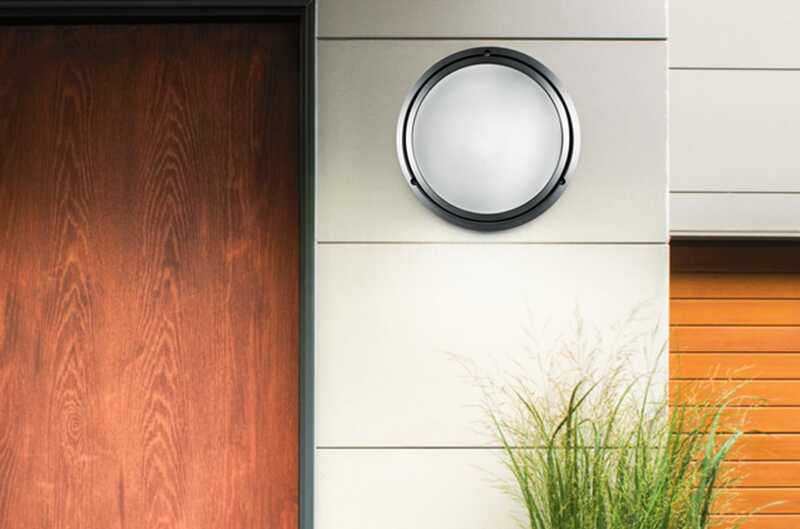 Here are 10 ultra-modern outdoor wall lights that will appeal to your contemporary, minimal sensibility. Enjoy a little variety with your minimalism. 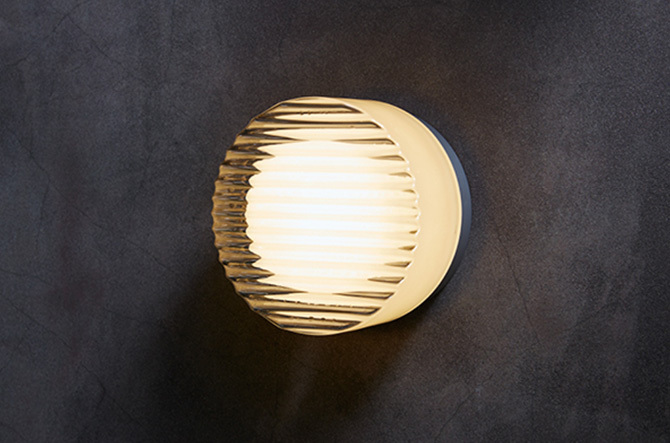 The Root Outdoor Wall Sconce is a slick hexagonal fixture with a downward-facing LED light source. Your decorative instincts will tell you whether to leave the lengthwise cut-out completely open or fitted with a woven wire mesh or perforated metal insert. Deconstructivism at its best, the Dawn by Modern Forms distorts the perfection of its shape with structure that’s ever-so bentforward. These elements hardly deter the light spread—in fact, they help increase the amount of light reflected on the wall’s surface. 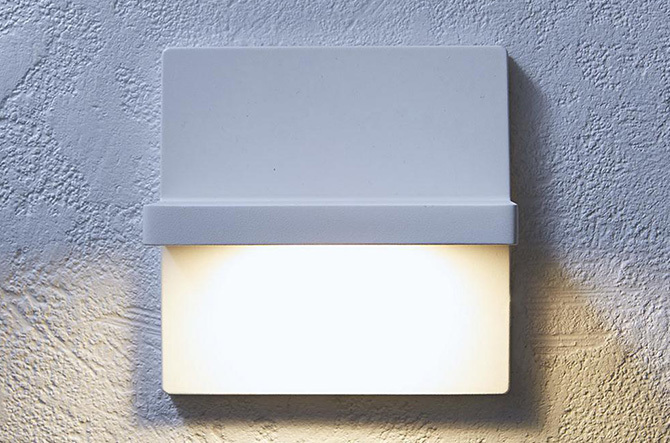 If you want the absolute minimum in structural design, then the Ledge LED Indoor/Outdoor Wall Sconce by Rich Brilliant Willing is for you. A simple shelf houses the LED light source, and can be flipped depending on where you want the wall wash to go. 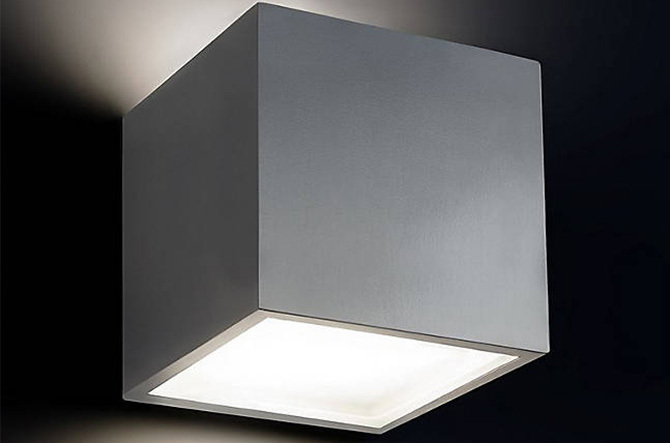 There’s nothing more timeless than black and white...and the Impact Resistant LED Ceiling/Wall Light by Bega pulls it off with the absolute minimum in aesthetics. 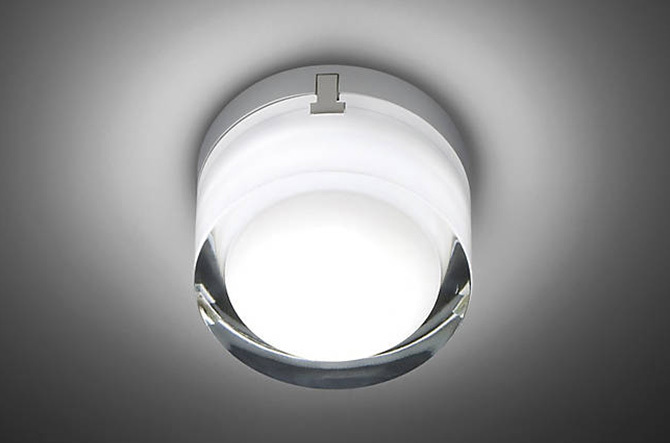 This sconce may be small, but its Marine Grade classification and lighting capabilities prepare the Impact for a long lifetime outdoors. 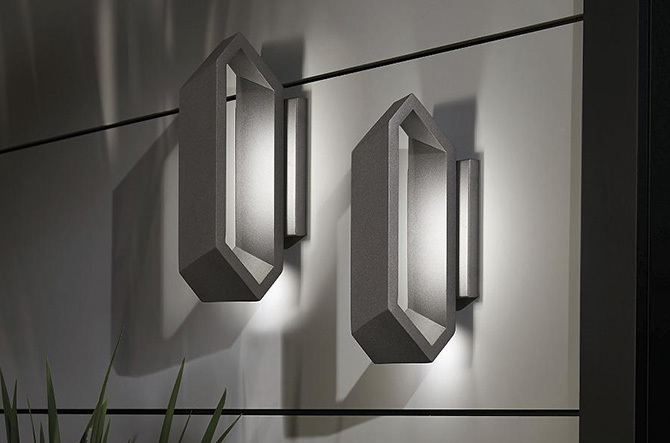 The Pitch Outdoor LED Wall Sconce by George Kovacs has the right angle when it comes to the powers of persuasion. It’s hard to tell where the light is coming from, successfully grabbing your attention with a negative-space-approach to modern outdoor lighting. The Scotch LED Indoor/Outdoor Light by Vibia likes to take its light neat, featuring a thick glass tumbler shade with rich and warm light. The simplicity and small size can place this wall sconce virtually anywhere—whether lining exterior corridors or above a vanity, this fixture adds instant elegancy without any fuss. Who knew a crinkle-cut surface could make such a great light diffuser? The Crisp by Rich Brilliant Willing adds a bit of intrigue to a straightforward silhouette with a rippling surface that liquefies its mostly frosted exterior. 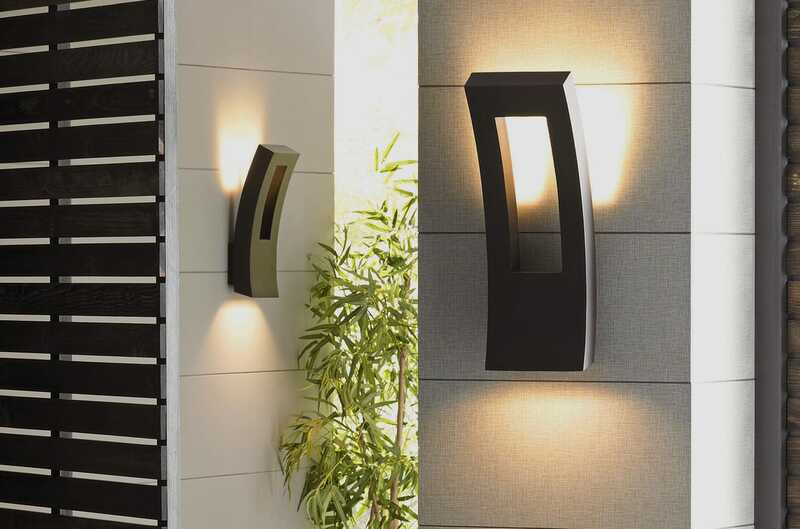 Create the buildings blocks of modern design with the Bloc LED Indoor/Outdoor Wall Sconce by Modern Forms. Equipped with powerful LEDs in either one or two-directional light, the Bloc is hardly square when it comes to sophisticated technology and functionality. 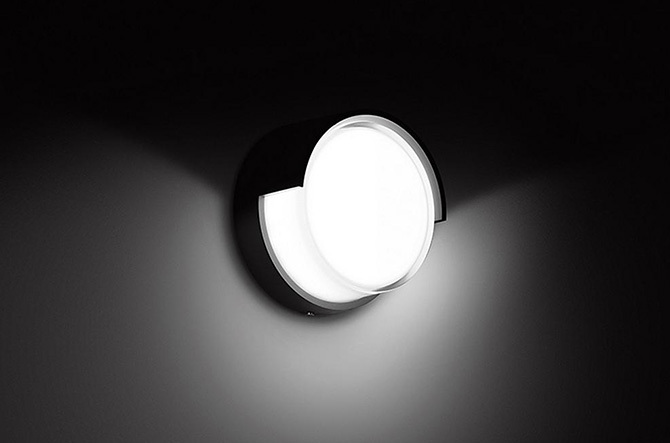 Artemide, so named after the goddess of the moon, knows a thing or two about the virtues of a perfect circle. Their Pantarei is utterly functional, designed to be unobtrusive and as simply pretty as the full moon itself. Rain, rain…don’t go away! 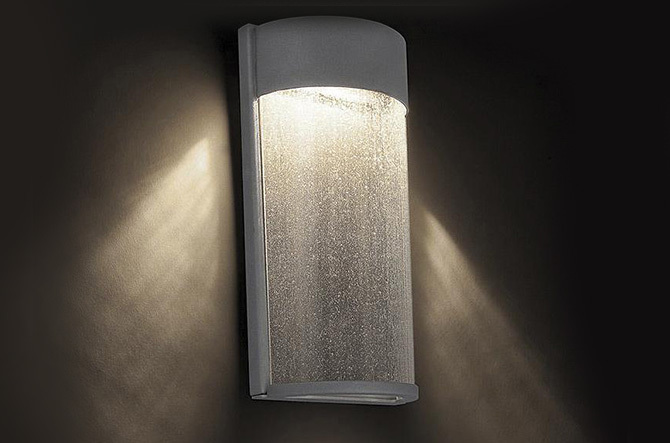 This Modern Forms sconce adds a little sunshine to a gentle storm, splashing freshly watered light against the wall. By texturizing the clear glass, this sconce can remain minimalistic in construction but decorative in the light it creates.